A marvelously versatile rum from Havana Club. This beautiful, fresh, Cuban rum adds extra depth and quality to a multitude of rum cocktails, particularly when used in conjunction with an Agricole or Demerara rum. 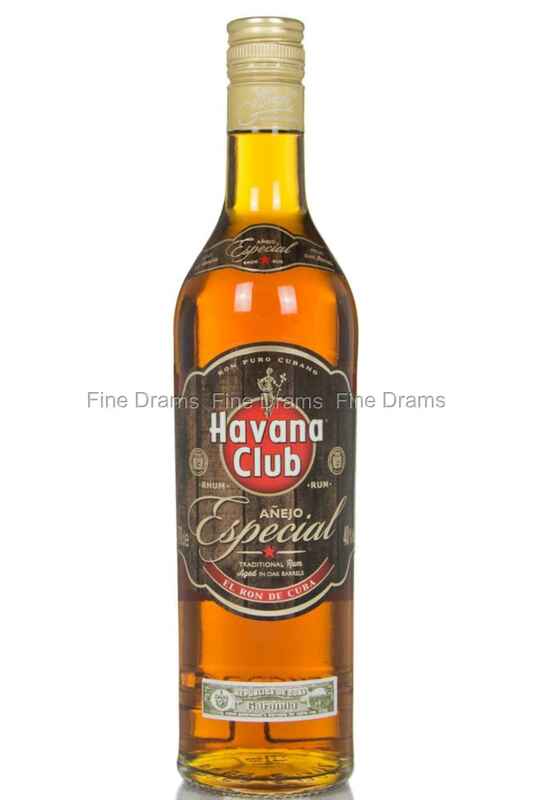 Havana Club Anejo Especial is finished for a period in younger white oak casks, which impart a greater oakiness in a shorter period, meaning that the rum has a well-aged profile. The effect is enhanced by the tropical heat and humidity of Cuba. The rum brings rich cane flavours of sugar, toffee, dried fruit and toasted oak. Whilst the rum is perfect in cocktails, we particularly enjoy it served simply alone or over ice on a hot day, or paired with a Cuban cigar. Another quality product from this might Cuban distillery.